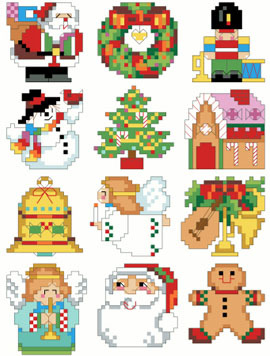 12 little Christmas motifs are presented here for your stitching pleasure. These tiny designs work up quickly and can be used for a variety of holiday purposes. Ornaments, canning jar lids, gift tags, and invitations; the list is endless.